GOWANUS – The first Tastes of Gowanus Food & Drink Crawl will debut next month, inviting locals to sample the array of culinary options the “industrial, artistic and historic” neighborhood has to offer. 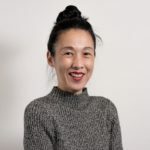 Presented by Tastes of Brooklyn, who host the annual Carroll Gardens-Cobble Hill Crawl, the Gowanus Crawl will also celebrate Earth Day (April 22) with special green activities. Ticket-holders will be invited to stop by all the participating businesses to sample their fare. The diverse dining offerings in Gowanus include Mexican, Italian, Cuban, and Chinese as well as barbecue, bakeries, breweries, and more. Ticket prices are $20 for four tastes and $50 for 11 tastes. Proceeds from the Gowanus Food & Drink Crawl will support Seeds in the Middle, a non-profit organization working to empower youth in central Brooklyn with the Hip2B Healthy program. A youth-run Hip2B Healthy Market will offer juices, smoothies, and Earth Day activities for kids during the Gowanus event. 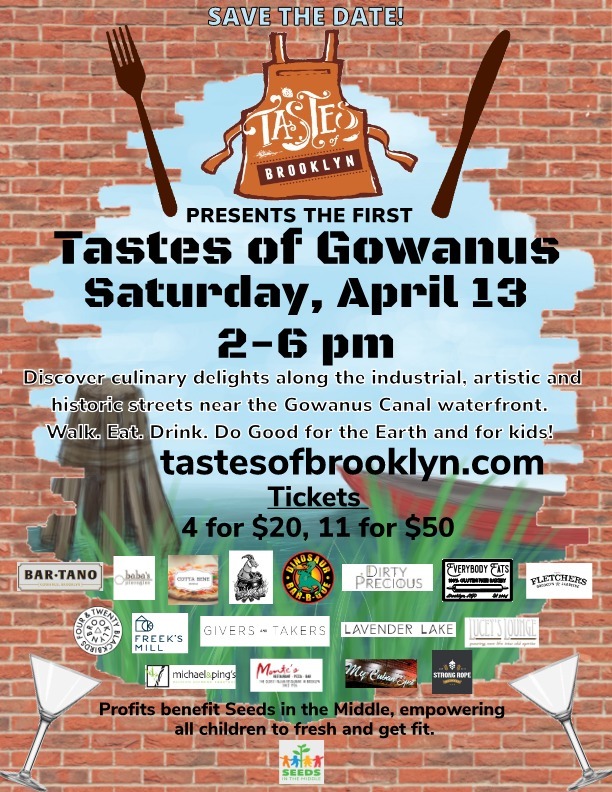 The first annual Gowanus Food & Drink Crawl is happening Saturday, April 13 from 2pm to 6pm. Get tickets here. The 6th annual Carroll Gardens-Cobble Hill Crawl is scheduled for Saturday, May 4. Never miss the day's stories! This story is free to read thanks to the generous support from readers like you. To support independent local journalism and keep local news free, become a member! Pam is a staff reporter at Bklyner, covering North-Western parts of Brooklyn. You can reach her at Pamela@bklyner.com. Tips are always welcome. She also writes about art at arthag.typepad.com. I just lost my job of 13 years in Atlantic Avenue (due to a fire), a minor job but it helped me to pay for rent and survive. Thank you once again for your support in the community. Thank you so much for the inform Pamela. Bklyner is your go-to source for Brooklyn news, one neighborhood at a time. News, Food, Events, Neighborhoods. Previously a network of neighborhood news sites: Bensonhurst Bean, Ditmas Park Corner, Fort Greene Focus, KensingtonBK, Park Slope Stoop, Sheepshead Bites, South Slope News, and Sunset Park Voice. © Corner Media Inc, 2008-2018. All rights reserved.